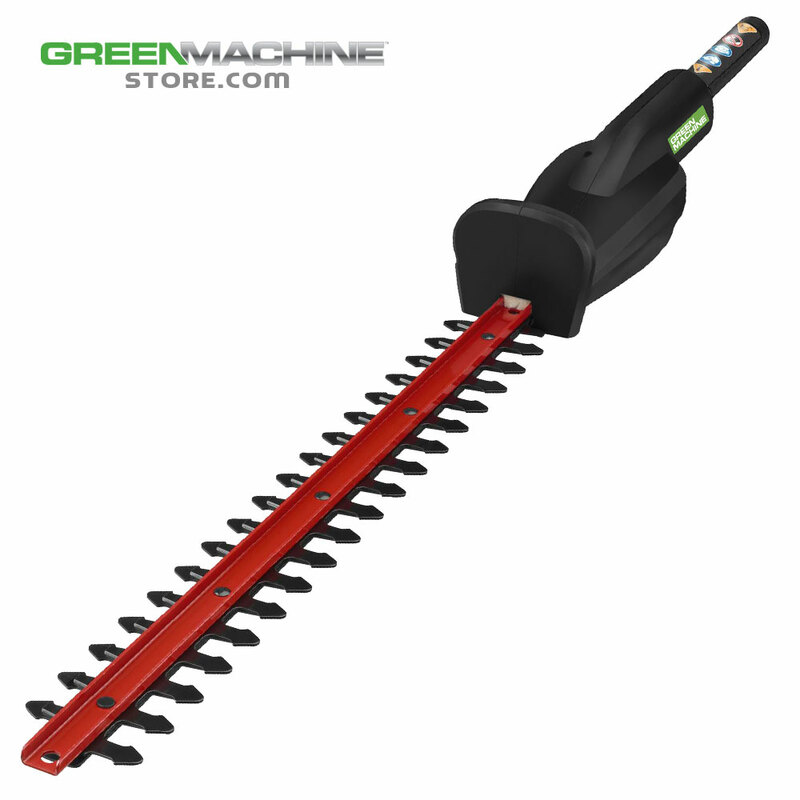 Convert your Green Machine 26cc Brushcutter/Trimmer into a Hedge Trimmer in the wink of an eye with this click-on Hedge Trimmer attachment. The 17.5" dual action blade makes short work of the tallest bush or shrub. Keep your yard looking its best without buying 5 different machines! Requires no extra tools to install - just click it into the power head and you are ready to shape your landscape like a pro. • No extra tools to install - just click it into the power head and go. • Green Machine Pruner Attachment Tool is universal and fits these brands: Ryobi, Green Machine, Homelite, Craftsman, Cub Cadet, John Deere, McCulloch, MTD PRO, Poulan, Poulan Pro, Toro, Troy-Bilt, Weed-Eater, Yard Machine, Yard Man.